A piece I built for my wife for x-mas 2004. 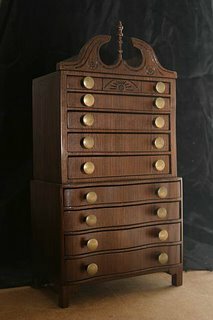 This miniature "tallboy" is a jewelery case. 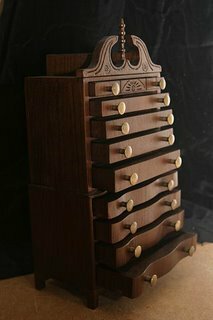 It's about 14" tall and it is built in Peruvian Walnut.